But couldn’t find the words to say. She’s got whatever it is. The lyrics from the popular song “Whatever It Is” by the Zac Brown Band struck a chord for Robert Hurt when he thought about Wendy. Though the pair had known each other since high school, it wasn’t anything exceptional. They reconnected years later, but something still didn’t match up. Then, one day Wendy was driving home from the convenience store when she spotted Robert’s red Chevy truck. The pair had lost touch, and something instinctively told her to follow him. Surprised but happy to see her, Robert gave Wendy his number and they began dating again. It wasn’t long before he mentioned that Zac Brown Band song to her. Wendy quickly realized his true feelings for her and knew she felt the same. Just a week before their wedding day in 2012, Robert went to the doctor complaining of back pain and overall exhaustion. Routine blood work and other tests that day seemed to point to his heart. “Doctors were okay with us still having the wedding, but they told us we shouldn’t go far” for our honeymoon, recalls Wendy of Kansas. The wedding moved forward with just a few hiccups. The wedding hall they thought was reserved fell through, so they ended up in a building on the fairgrounds instead. Happily, the couple realized the building also had a garage door, so they were able to ride into the reception in the back of Robert’s red Chevy. Wendy wore the perfect dress – the first one she ever tried on. 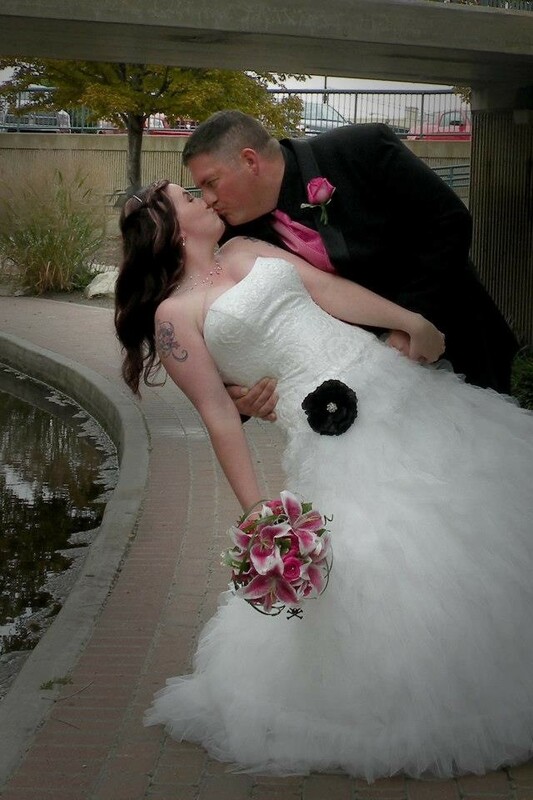 The couple heeded the doctor’s request and stayed close – a hotel in town and then a few days in nearby Wichita for their honeymoon. Just three days after their wedding, Robert’s doctor made a startling discovery during a follow up heart catheter. Robert learned he had Transposition of the Great Arteries, TGA. The serious birth defect meant his two main arteries, the pulmonary artery and the aorta, were reversed. This defect, often found in babies, affects the amount of oxygen flowing to the body. Heart surgery is often needed. In Robert’s case, doctors spotted a blockage, and said he needed a stent put in his heart to open it up. Gratefully, Robert recovered from surgery and has no lasting effects. Six years later, after struggling to conceive, Wendy discovered she was pregnant with a boy. Ecstatic, her mother bought her an Origami Owl® Living Locket® to celebrate the moment. “The Locket had a Charm with little blue feet and a ‘Mom’ Charm,” says Wendy. She fell in love with Origami Owl’s jewelry and frequently visited her friend’s website to look at the jewelry and shop. She loved personalizing the jewelry. 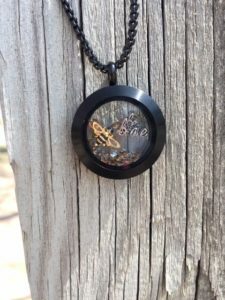 Finally, in August of 2018, she decided to start her own Origami Owl business. Wendy, also an in-home daycare provider, says the business has been a welcome addition, providing more connection and have another source of income. She’s even helped her mom and sister-in-law start Origami Owl businesses. To this day, when the couple hears “Whatever It Is,” they remember the start of their relationship, the eventful first week of their lives together, and feel grateful to have learned about Robert’s health early on in their marriage. And they know they have “whatever it is” together.